Last night I finally finished my ‘Emergency Basket’ tutorial and you can find it here and it’s free! I wanted the basket base to be decorative in its own right, that way, there’s no need to feel that it has to be filled. And that’s what I need to be getting back to right now. Enjoy your Tuesday folks and I will be back soon! I’m just swinging by so that you don’t think that I have gone away on a long break again! It’s a busy time here at T&T HQ because it’s the run up to a certain Little Mr Toad’s fourth birthday which means that my creative streak (who am I kidding, it’s a juggernaut?!) has gone in to overdrive. 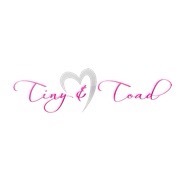 There are also lots of other exciting things going on in the world of T&T which I will tell you about another day. 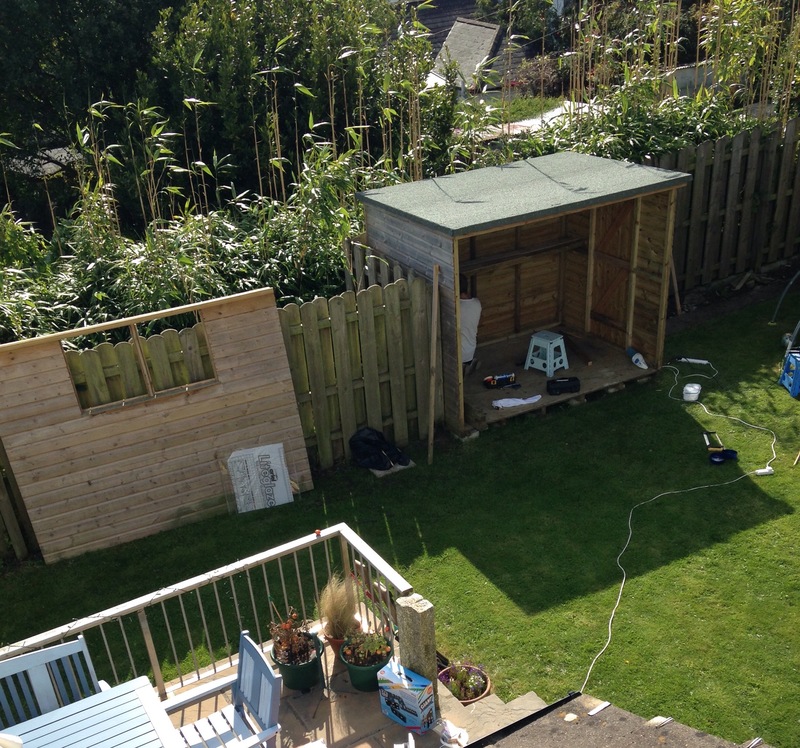 The BIG project for this birthday is a ‘Boy shed’ (Toad has asked for a shed specifically, not a playhouse, a shed.). Toad has been desperate for one for months and, being completely honest, so have I! This is a gift that will go on creatively giving to me long after The Birthday.- think of all the decoration it is absolutely going to need. Constantly! 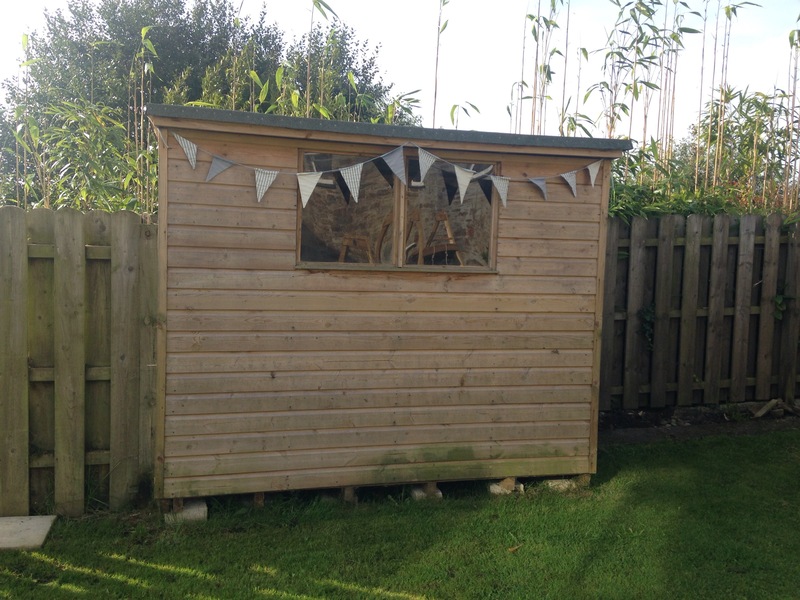 We’re up-cycling for this little (or not so little) project using our current garden shed. It came to us with the house and, is in the perfect spot for the Boy Shed, will enable us to further put our own stamp on our little corner of Cornwall and, of course, we’ll save a few pennies doing it this way. This is the progress by half way through yesterday – the front wall is being moved back to make a veranda and little door is going to be added to it together with a window. That wall is currently no more than a frame and Mr T&T is in his element in the construction phase. Of course, my head is swimming with decor ideas. I’m really excited today because not only is Mr T&T on holiday, The Boy shed is under construction but I am also going off to spend a couple of hours learning how to Rag Rug as part of Wool Week here in Liskeard. It’s organised by 3 bags full and I absolutely cannot wait. Before I go, tho, I thought that you might like a little peek into my world. 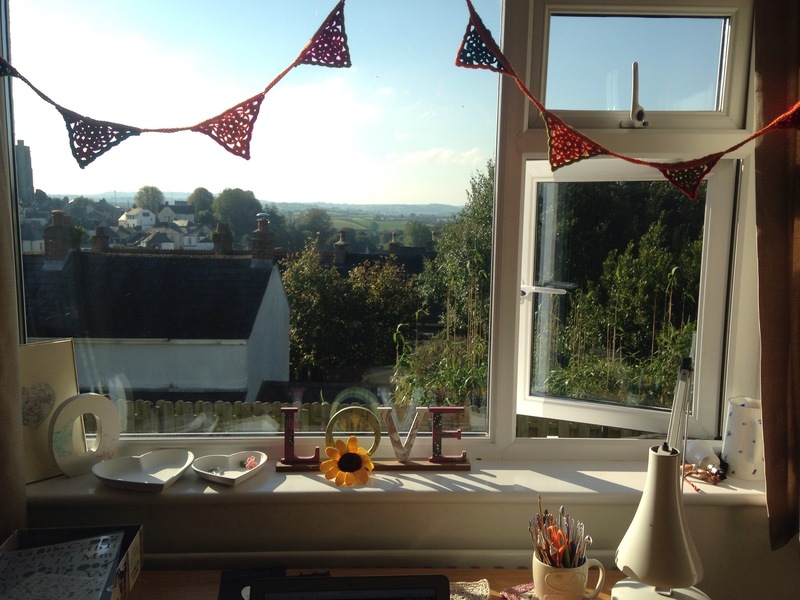 This is my workspace and, behind it, the amazing view of Cornwall that I have the joy of waking up to every day. I’m a very lucky girl!